Minnesota United added a third piece Friday during this secondary transfer window in forward Brandon Allen. The 23-year-old joins the Loons on loan for the rest of the season from the New York Red Bulls, but United has an option to buy the homegrown player's contract. “The one thing about him is, he always looks like he could score,” coach Adrian Heath said, adding Allen has a knack for being in the right spot, which isn’t teachable. 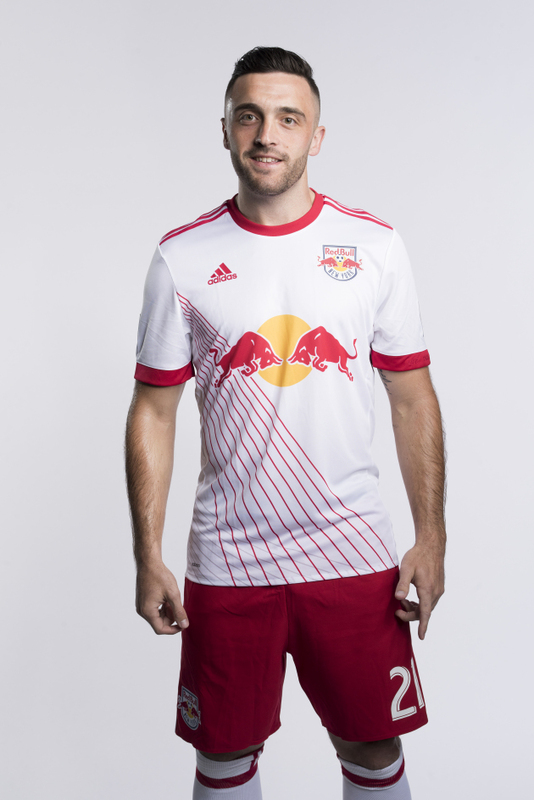 Allen, at 6-1, 190 pounds, is a New Jersey native and made one short appearance for the Red Bulls in 2016. Heath said the Red Bulls have wanted to give Allen more playing time, but it’s a struggle when he's behind designated player and two-time Golden Boot winner Bradley Wright-Phillips. Playing instead mainly for the Red Bulls II in 2016 in the United Soccer League, Allen earned Rookie of the Year and USL Cup MVP honors after winning the USL championship and scoring 21 goals. Prior to that, Allen was a four-year starter at Georgetown, finishing his career there as the all-time leading scorer, with 50 goals and 17 assists in 91 appearances and 90 starts. He has also played for the U.S. at the U-18 and U-20 levels. His older brother, RJ Allen, plays for New York City FC. Heath said consistent injuries to rookie forward Abu Danladi forced United into looking internally in the league for another striker. While Danladi is looking better than the team expected at this stage in his recovery from a hamstring injury, Allen should help take some of the burden off team leading scorer Christian Ramirez. Heath said Allen and Ramirez are similar strikers except Ramirez, at 6-2, 187 pounds, is a bit bigger all around and more experienced at 26 years old. The coach said he will explore possibly playing them in tandem. Allen arrived in town Friday afternoon and will play and likely start against Atlas FC at 7:30 p.m. Saturday at TCF Bank Stadium. Meanwhile, fellow new signings winger Sam Nicholson and defender Michael Boxall will not play, as their visas and international transfer certificates are still pending. Nicholson is from the U.K. and Boxall is from New Zealand. Both take up international roster slots, so United has currently filled all 10 of its spots.